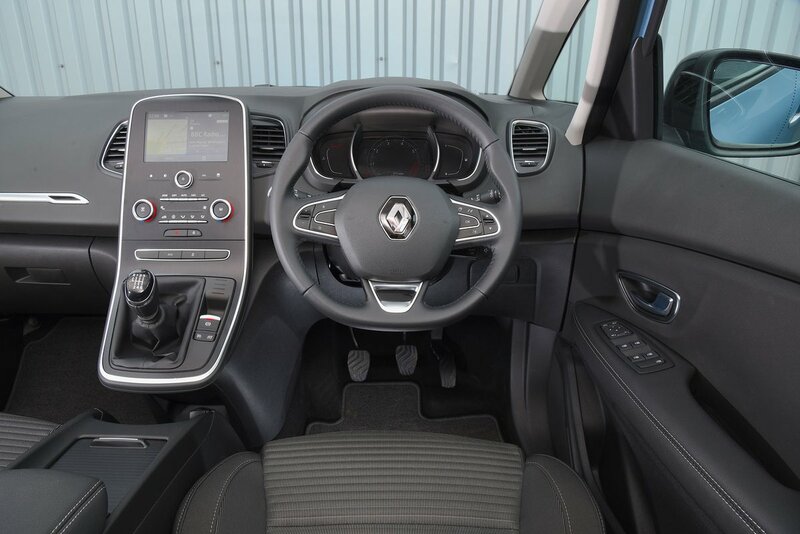 Renault Grand Scenic Interior, Sat Nav, Dashboard | What Car? The Grand Scenic’s interior is light and airy with good visibility, thanks to its split front pillars and the option of a big panoramic roof. Unlike in some cars, this doesn’t eat into head room too much. There’s plenty of adjustment on the steering wheel and seat, so getting comfortable is easy. While most of the materials you come into contact with feel good to the touch, some areas feel a little flimsy; this is especially true of the sliding centre console in higher-spec models. 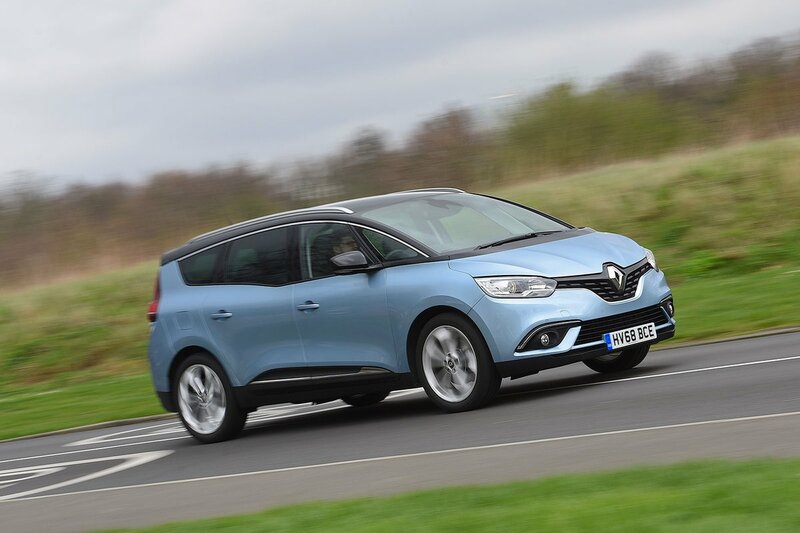 The bottom two trims get a 7.0in touchscreen infotainment system, while the top Signature trim gets R-Link 2, Renault’s 8.7in portrait-oriented system. 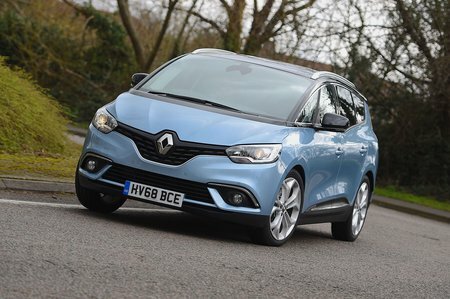 You certainly get plenty of functionality, including sat-nav, but the menus can be confusing and slow to respond; switching songs on a Bluetooth device takes a painfully long time. There’s another trio of TFT screens ahead of the driver. These show fuel levels, engine temperature, speed and other information that changes depending on which of the five drive modes you’re in. It looks good and is clear, but it doesn’t match Volkswagen’s Active Info Display. A head-up display (optional on the two bottom trims but standard on Signature) means you rarely have to take your eyes off the road.